We are a Premier Exhibition Stall Design Company in Mumbai offering highly customized Portable Exhibition Stall Solutions in Pan India. We have range of Portable Exhibition Stall Solutions to offer to fit client requirements whether it is for Exhibitions, Events, Offices, Campaigns etc we have it all under one roof. Portable Exhibition Stalls are widely evolving concept in the market offering great outlook to the Exhibition Stall, minimum setup & dismantling time, Easily Transported, Available in various custom options to meet requirements to the core. Portable Exhibition Stall are created keeping in mind the core requirement of client and designed to fit required parameters of clients. Our team of Professional understand the requirement and create out of the box concepts at support our client in all their Exhibitions, Events, Corporate needs. 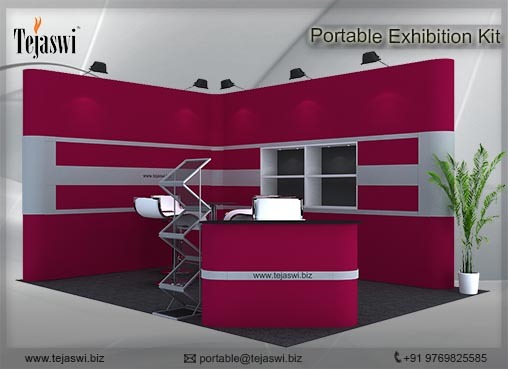 A typical portable exhibition Stall system consists of various components based on client requirement. All these components along with required accessories are put together in a creative way to enhance the visual impact. 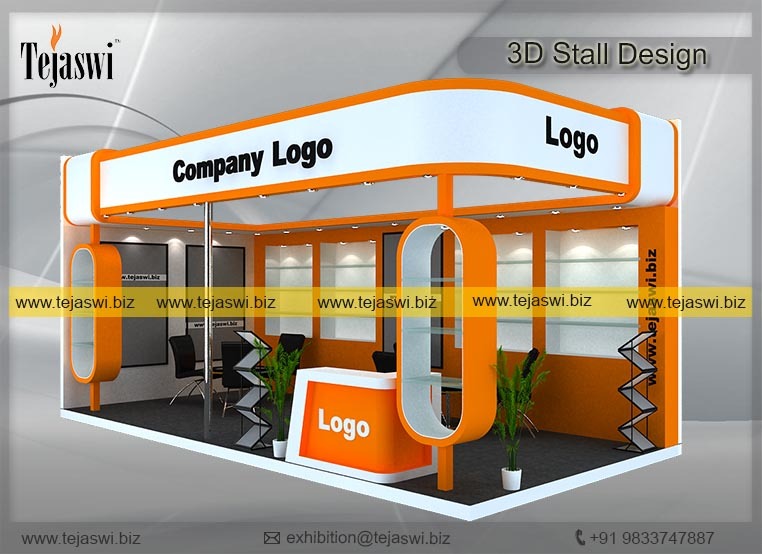 Tejaswi has expertise in the design of portable exhibition system and supply equipments that are appropriate to your business requirements.